The system of Southern Praying Mantis Kungfu is a complete art which may be trained as a fitness program for health, longevity and self-defense. It is suitable for both men and women of any age or body type. 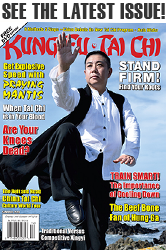 The Chinese Kung Fu Academy of Southern Praying Mantis (currently headquartered in Humble, TX) and its branch schools in the USA are under the direction of Master Henry Poo Yee, who has earned a worldwide reputation for his Jook Lum (Bamboo Forest) Southern Praying Mantis since 1982. Master Yee began his martial art training at the age of six as a native of South China (Canton) in the 1940's. The style that was taught at his native village was Hung Gar, which he practiced until the age of eleven, when he moved to Hong Kong. He began to study Tai Chi Chuan in Hong Kong, but due to his young age and previous training in the powerful style of Hung Gar, he could not appreciate the slow, soft motion of Tai Chi exercises and switched to s system called Bok Hok (White Crane). After Sifu Yee recovered from his injuries, he received the lifetime gift of the Jook Lum Temple Dit Da herbal recipes with the training and healing instructions from Sifu Lum Sang. With his teacher?s encouragement and blessing to teach and promote this rare and highly secret infighting martial art to the general public, Sifu Yee has been teaching and establishing branch schools since 1982. The system of Southern Praying Mantis originated in about the middle of the 1700's by a Southern Shaolin monk named Som Dot. In the 1800's, a monastic monk named Lee Siem See, from Kwong Sai province, Jook Lum Temple, carried this style of rare kungfu south to China's Canton province where he called it the kungfu of Som Dot, the system of Jook Lum Temple Tong Long Kuen, and took a youth named Chung Yel Jung from the Wai Yung province of South China back to Kwong Sai Jook Lum Temple to be trained. The School of Chung Yel Jung soon got the attention and popularity of the Hakka people of Wai Yung for its powerful and deadly kungfu, who then nicknamed Chung Yel Jung ?poison snake.? Chung was the head teacher to the Hong Kong Hakka ship union and the dock workers. A second school was opened in Hong Kong in the early part of the 1900's, and the deadly Jook Lum Mantis boxing was taught by his student, Wong Youk Kong. The art was then restricted to only the Hakka people of South China and was still referred to as Hakka Kuen. In the 1920's, the old monk of Lee Siem See (already aged well over a hundred according to the Late Grandmaster Sifu Lum Sang) came down to Hong Kong to oversee the rebuilding of the Jook Lum Temple of Hong Kong (Kowloon today) and building of a Macao Temple. During the temple building, the old monk took one of Chung Yel Jung?s youngest students named Lum Sang as a traveling companion, but did not return him back to Chung Yel Jung until seven years later. In the 1930's, a third school of Kwong Sai Jook Temple Tong Long Pai was opened in Kowloon. This one was taught by Sifu Lum Sang, at the age of only 26, and he soon gained his nickname of "the monkey" because of his small stature (5'2", 120 lbs) and the deadly abilities of his fighting stance. During the Chinese-Japanese war in the late 1930's, the old monk Lee Siem See had come to Hong Kong again. This time to unite his students Chung Yel Jung and Lum Sang. Because Lee Siem knew Hong Kong would not be a safe place if WWII broke out, he ordered Lum Sang to take responsibility of Som Dot Kungfu system and the property of the Jook Lum temples and run overseas. Soon Hong Kong was occupied by the Japanese and Chung Yel Jung and his student Wong Yook Kong were ordered back to their native Wai Yung to fight in the Japanese war. Lee Siem See headed to Macao, and Sifu Lum Sang's fate carried him to England, where he started to teach this system of Kungfu to the Hakka people in Liverpool, England. With WWII in motion, England was bombed by the Germans and Sifu Lum Sang sought refuge for his life aboard a ship, only to be bombed in high seas and then rescued by an American warship. Months later this warship needed repairs and docked in Virginia where Sifu Lum Sang was let go overboard, later to become a citizen of the United States. Subsequently, Sifu Lum Sang ended up in New York City Chinatown. In 1942, he started teaching his kungfu in Chinatown's Hakka organization, the New York Hip Sing Tong. In his later years (1965), just a few years before he retired from teaching and before he returned to China, he taught at the New York Chinatown's Free Mason Athletic Association. Sifu Henry Poo Yee was the product of the Hip Sing Tong School of 1955, and was named in New York Chinatown "The Little Praying Mantis." There are still only a handful of Sifu Lum Sang's disciples throughout the world to teach this traditional rare art of self-defense Kungfu to the general public. With a history of almost 300 years, Kwong Sai Jook Lum Tong Long Pai has been a carefully guarded system of traditions and secrecy. 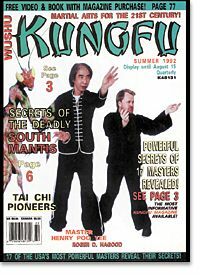 The system of Southern Praying Mantis kungfu is a no-nonsense combat martial art with a reputation of deadly powers and simultaneous body control of counters and attacks. Guen Han Gar Ging with the inch power of (1) long power (2) middle power (3) short powers. All this is called Tong Long Pai Guen Han (vibrating) Ging. Without the offensive and defensive vibrating powers of controlling the opponent, even the form training of the system of Southern Praying Mantis is almost useless as a combat system. Som Bo Gin (The combinations to the second seed of the system, the fist, claw, elbow, knee, and kicks of three power steps). There is also the very high technique training form of Siem Kuen 18 Bin, basic to the system's training of acupuncture and nerve point striking with combinations of phoenix eye fist and finger (mantis claw) striking. But, all the above training first need the foundation of Tong Long Chi Kung, including the iron fist and iron claw. In the advanced training, each class starts with the system's Ting Sing Chi Kung as a warm-up exercise to increase the body's flexibility and inner power. There are many two-men sets in forms to train the system's feeling, yielding, sensitivity and power control called "Kiu Sao Dui Jong" or sparring to the system's philosophies of infighting counter-control and counter attacks. After a year or two the final phase of training is the Dit Da conditioning of the phoenix eye fist called "iron fist" and the conditioning of iron bridges and the iron claw. There are the bullets of the mantis gun. In the school training programs, the traditional culture of Kungfu weaponry and lion dancing are included. A martial art teacher is a training guide to his students. Good knowledge and an experienced instructor are essential in order to maximize the potential of the students in learning and developing. Today's society is filled with unscrupulous people who commit violence and terrorism, therefore an average person, man or woman, will find it worthwhile to learn and practice a practical means of self-defense, at the same time gaining some physical fitness exercise for health and longevity. The Jook Lum art cannot be explained in the few paragraphs of this article or perhaps even a book. 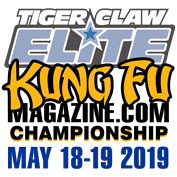 However, with Henry Poo Yee available and openly teaching it, Kwong Sai Jook Lum Temple Tong Long Kungfu may soon benefit those in and out of the martial arts community. Click here for Feature Articles from this issue and others published in 1992 .